Early in the morning depart Delhi for Leh arriving at Leh Airport and transfer to Hotel. Ladakh :-Its landscape, sky, shooting stars, silence, wizened faces, rosy cheeks, dragons and Zen – everything makes Ladakh a quite place to visit. This ethereal cold desert that goes by names such as 'The Last Shangrila', Moonscape, Little Tibet and so many others – all of which ring true, is a land that seldom fails to baffle or surprise. 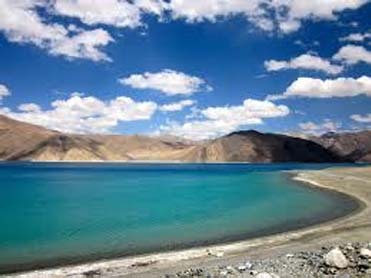 Rest of the day free to acclimatization to high altitude and low oxygen levels in Leh. After breakfast walking tour of Leh City visiting:- Leh palace, Leh Gompa, and colorful local bazaar . 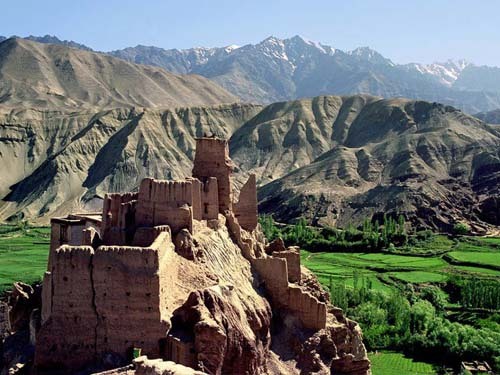 Leh Palace was built in the middle of the 16th century by King Singe Namgyal and still belongs to the royal family that now lives in the Stok Palace. 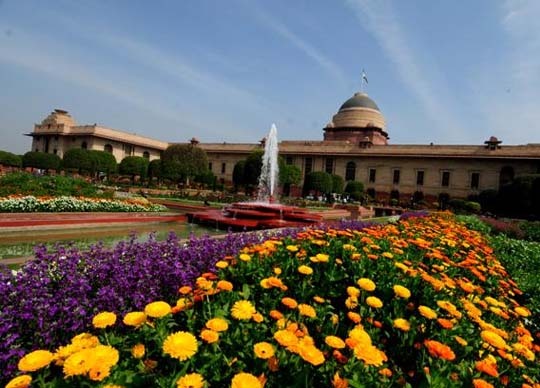 The nine-storeyed monument has gone to seed, so don't visit the site expecting too much. Roosted above the Leh Palace is the Namgyal Tsemo Gompa (monestry). Spituk Gompa: It stands prominently on the top of hillock commanding a panoramic view of the Indus Valley for miles. Phyang Gompa: 17Kms from Leh on the Leh-Kargil road, it looks like a huge palace from afar, build by Tashi Namgyal in the later half of the 16th century AD. It belongs to the red Cap sect of Buddhists. Sankar Gompa:- This Gompa belongs to the Gelukpa order and has an impressive impression of the Buddhist deity Avalokiteshwara Padmahari or Chenresig with 1000 arms and an equal number of heads. After breakfast full day excursion to Hemis to enjoy Hemis Festival visiting en route to visit Shey which is an old summer palace with 12 feet statue of Buddha. 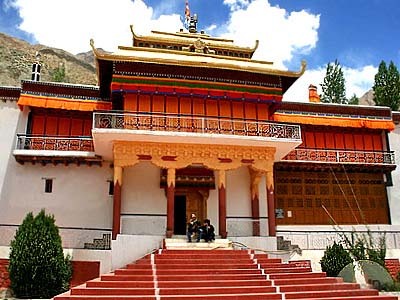 , Thikse, the superbly situated Monastery on a hilltop overlooking the village and the Indus river and Hemis Monastery which is the richest and the largest Monastery of the area .You also visit Gotsang at Hemis. 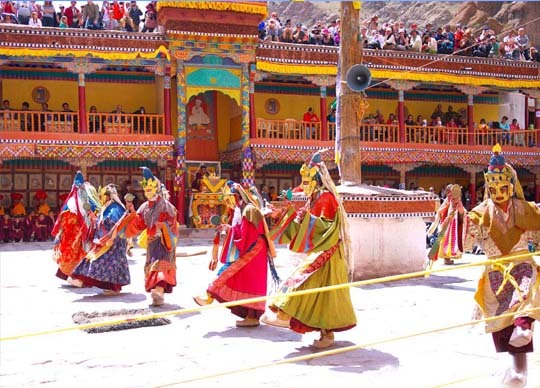 Hemis Festival:- The Hemis Festival is dedicated to Lord Padmasambhava (Guru Rimpoche) venerated as the Dance Performance at Hemis Monastery representative reincarnate of Buddha. He is believed to have been born on the 10th day of the fifth month of the Monkey year as predicted by the Buddha Shakyamuni. It is also believed that his life mission was, and remains, to improve the spiritual condition of all living beings. And so on this day, which comes once in a cycle of 12 years, Hemis observes a major extravaganza in his memory. 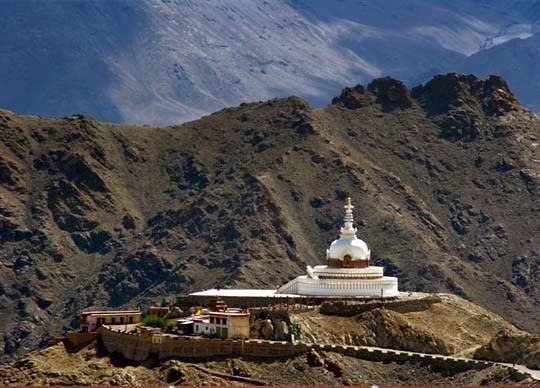 Shey Palace And Gompa: Situated on a hillock 15Kms upstream from Leh and it was once the residence of the royal family. Thiksey Gompa: 19Kms from Leh, spectacularly sited, is one of the largest and architecturally most impressive Gompas. 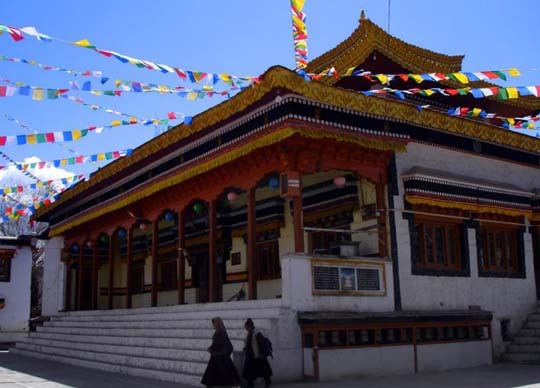 Hemis Gompa: 40Kms from Leh, it is the wealthiest, best known and biggest Gompa of Ladakh. Its popularity stems from the major annual festival held here in summer. After breakfast once again depart Leh to Hemis to enjoy Hemis Festival. After breakfast depart Leh for Nubra with packed lunch and cross the world's highest motorable road - the Khardung La pass ( 5570 mts) arriving in Hotel by evening. The Nubra valley lies in the north of Leh and is accessible over the Khardung La (5570 Mts) which is the highest mortorable road in the world. The valley is on trade route from Leh to Kyagar via Saser and Karakoram passes. Apart from unparalleled trekking opportunities the valley houses several Monasteries such as sumur (khagar) and 350 years old Dikshit Gompa, famous for its Murals and from Khardung La drive to village of Khardung and through starkly beautiful country side to the TCP at Khalsar where permits have to be registered/checked. After visiting drive straight to Hotel. In the afternoon visit the Samasthanling monastery which has 7 temples and a collection of frescoes. After breakfast depart Nubra for Leh visiting en route to visit Diskit and Hunder Gompas. After visiting Diskit and Hunder Gompas drive straight to Hotel arriving late in the afternoon. After breakfast depart Leh for Alchi visiting enroute to visit Lamayuru. 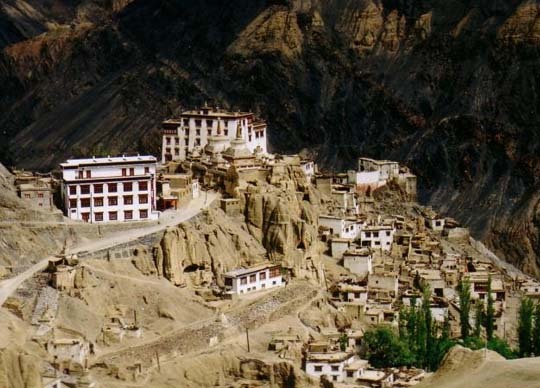 Lamayuru Monastery is situated in Ladakh, in between Bodhkharbu and Kha-la-che, on a steep rock mountain and it is consisted of five buildings, out of which only the central one exists Today. After visiting Lamayuru Monastery enjoy packed lunch and then drive to Alchi arriving in Hotel. After breakfast visit Alchi Monastery, The Alchi Gompa, or monastery which was founded in the 11th century by Ringchen Zangpo, "the great translator", known for building several Buddhist monasteries in the area. After lunch drive back to Leh, visiting en route to visit Likir monastery also know as Klu-Kkhjil (water spirits). It contains huge clay images of Buddha's (past, present & future) and various old manuscripts. Also stop at Basgo Castle also known as known as Basgo Rabtan Lhartsekhar Castle. Inside is the "Golden Maitreya", a sacred copper-gilt image of the Buddha Maitreya, two stories high and the three story high Buddha Maitreya made of clay. After visiting Basgo Castle drive straight to Leh arriving in Hotel. After breakfast leave for Pangong Lake 14,500 ft, through Changla Pass 17,350 ft. (third Highest Motorable road in the world) arriving in Camp and enjoy Hot Lunch at Camp. Rest of the day free at leisure and enjoy the colour changing lake and sunset on the banks of lake. Dinner and overnight on the banks of Pangong Lake. Early morning enjoy the picturesque view of Sunrise on lake and after breakfast drive back to Leh. Early in the morning transfer to Leh airport for flight to Delhi .Assistance upon arrival and transfer to Hotel. Morning transfer to Delhi airport for flight back home.